After a great many hiccups, the new Fortnite Mobile iOS update is up and running, and fans are excited. Here’s the full rundown on what’s new in Fortnite with version 8.4. Tech site PiunikaWeb noticed a large number of complaints from players about the latest iOS update for Fortnite Mobile on Tuesday. The iOS update was fixed earlier today, so if you haven’t tried to download the new Fortnite Mobile since the issues, we advise you to try again because it should be fixed. It’s pretty standard for games and apps to issue update every so often, but this time when Fortnite Mobile‘s servers were taken down temporarily, the game didn’t come right back up. iOS users found that version 8.4 wasn’t available for download in the App Store. It didn’t take long for the Fortnite team to update players on Twitter. They said they were working with Apple on certification for the game’s newest patch. However, even after announcing that the update process was complete, many players still weren’t able to download version 8.4 because the new iOS update wasn’t even available. However, this morning they announced on Twitter that the game was back up and running after they smoothed out the issues with Apple. Speculations posted on Reddit suggested that the delay in the iOS update was due to developer Epic Games’ failure to follow Apple’s rules for app updates. However, this has not been confirmed, and it seems like fans now are much more interested in playing the game than in dissecting what might have caused the problem. Epic Games released the full details of the new Fortnite Mobile update for version 8.4 here. One of the biggest additions is the new limited-time Air Royale mode. Players will steer the X-4 Stormwing to fight against others. The mode also includes a number of challenges to unlock new Wraps. Air Royale is a Duos-only mode. All planes have three lives, and players respawn until the last life is gone. Players are eliminated instantly if they touch the ground, and planes will explode if they stay on the ground for any longer than a few seconds. Players can hijack another team’s plane to basically steal their plane lives, and there’s a ceiling that gradually comes down as the match progresses. Air Royale mode also offers loot chests with five rarities falling from the sky and floating repair chests to fix damaged planes. 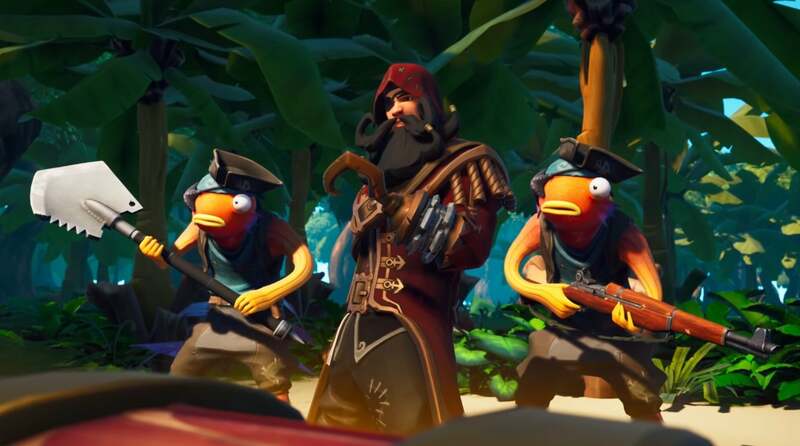 The new update also adds the limited-time Food Fight mode. Teams do battle while building a fort to protect their restaurant mascot as lava rises gradually. The new Fortnite Mobile update also adds new rarities for the Infantry Rifle. Other new entries include the Egg Launcher and the ability to pet the dog or other pets. Bug fixes include problems with the Season 8 trailer, issues with coconuts not being pingable, and a problem that caused turbo building to stop if a player ran out of the material they were using at that moment. Other fixes include problems with Traps placed inside walls or placing inconsistently when auto-placed.